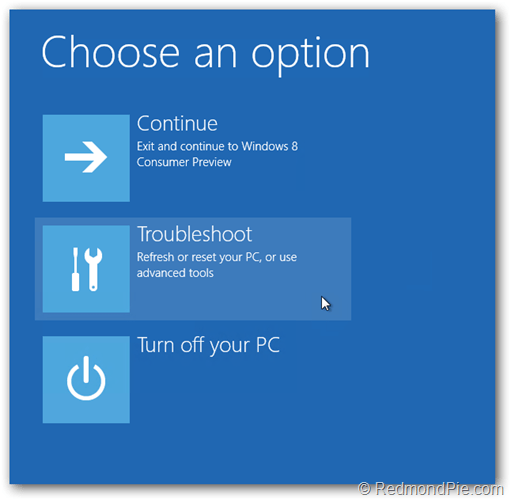 Booting lewat Safe Mode di Windows 8 | LKP. Vikaniova.Net Sonder "sharing is great!" Posting pertama di tahun 2013 ini adalah mengenai bagaimana cara booting lewat Safe Mode di Windows 8. Sangat aneh ketika pertama kali menggunakan windows 8 di netbook acer yg saya punya. awalnya cuman ingin coba-coba saja. tapi justru ketagihan. perasaan aneh selanjutnya adalah ketika ada aplikasi yang sering saya gunakan dan mengharuskan menginstall itu lewat safe mode. saya pun mencoba cara seperti biasanya untuk masuk ke safe mode, yaitu ketika netbook saya nyalakan kemudian tekan tombol F8 atau Shift + F8. Tetapi justru tidak berhasil. ternyata Windows 8 punya cara tersendiri untuk bisa booting lewat Safe Mode. upaya berikutnya adalah browsing via search engine google. 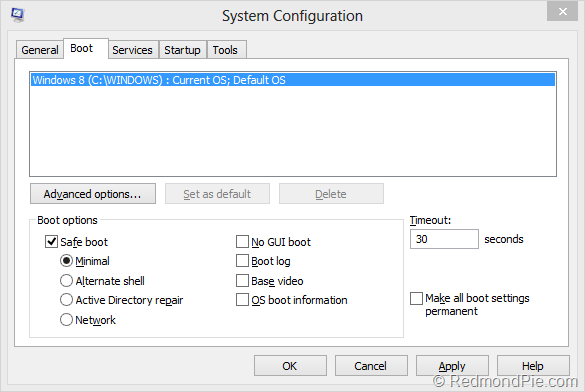 dan dapatlah langkah-langkah untuk bisa booting lewat safe mode di windows 8. dibawah ini adalah langkah-langkahnya yang saya kutip dari www.redmondpie.com. In this case, all you need to do is make some changes through the MSConfig utility, and the next boot will get the PC up and running in Safe Mode. Step 1: Press Win+R to get the Run dialog. Type “msconfig” (without the quotes) and launch the utility. That’s it – when you reboot your machine afterwards, it will start up in Safe Mode. A noteworthy mention at this point is the fact that with this setting, the system will ALWAYS boot up in Safe Mode. If you want to get back to the normal operation, just launch msconfig again, and uncheck the Safe boot option. The next (and subsequent) restarts will get you back to normal Windows 8 environment. 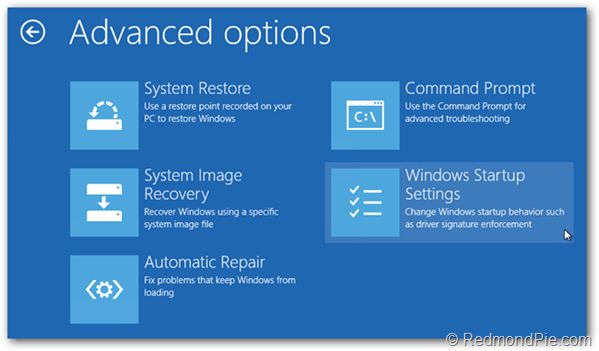 Once the Recovery screen is displayed, click the See advanced repair options button. In the next screen, hit the Troubleshoot button. The next screen will ask you to restart your PC, after which you’ll see the familiar Advanced Boot Option screen – the same one that’s been around since Windows XP – and you can choose Safe Mode here. It’s really not clear as to why Microsoft would bury something as useful as Safe Mode so deep and complicated within various screens, but it definitely isn’t convenient, to say the least. Nevertheless, it does exist, and you can definitely achieve it if you know where to look.